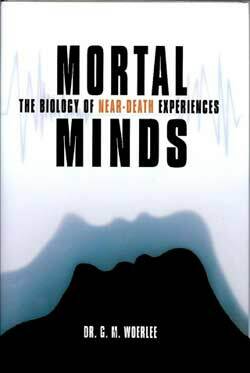 During 2010, a well known near-death experience (NDE) researcher, Dr. Bruce Greyson, published an article in which he claimed that NDE reports where persons claimed to have met the souls of deceased relatives were proof of the reality of a life after death. Furthermore, the strongest aspect of this evidence was the category of NDE "visions of deceased people who are not known at the time to be dead." All this was clearly indicated in the summary of his extensive 12 page article. What is a "Peak in Darien" experience? In more modern language, Cobbe is asking the fundamental question of whether the visions of the dying truly do indicate whether the dying pass into a afterlife during which the individiual consciousness continues to live, or are such marvelous experiences products of "cerebral disturbance and hallucination at the moment of physical dissolution". This reveals she also understood these experiences could just as well be hallucinatory. Her chapter describing this experience cites innumerable reports of dying persons, who shortly before dying had visions of deceased family members. Frances Cobbes' final conclusion was typical of her age. She finally concludes that the meeting of deceased family members and loved ones at the moment of death is not definitely proven to be real, but is a hope for all humanity. A medical person would say that he has a vision of a person with features common in his family line. Several weeks later when recounting his experiences to his relatives, he recognises a woman with features common in his family in an old photograph, and invests the experience with paranormal significance. Cardiologist Pim van Lommel reported the extensive NDE of a Dutch man who, during a cardiac arrest, saw his deceased grandmother and a man who looked at him lovingly, but whom he did not know, but later found he was his biological father. This man perceived everything that happened to his body and around his body during his out-of-body experience. This is local information. At the same time he learned of the death of his sister in a distant room in the same hospital. This is distant information. He was being resuscitated for heart problems at the same time his sister died, so he was in no condition to learn of her death at that moment. Some people might say this man learned of the death of his sister by means of paranormal sensory abilities. 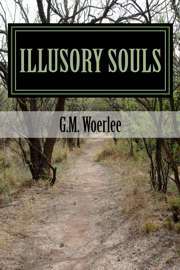 But paranormal sensory abilities are not needed to explain how he learned of the death of his sister. This man knew his sister was near to death in a diabetic coma in the same hospital, and diabetic coma had a mortality varying between 4.9-46% during the 1980's and before (Hamblin 1989, Khardori 1984, Pinies 1994, Rimailho 1986). He needed no paranormal senses to predict the death of his sister, because he was very likely to have been correct. The fact his sister died at about the same time as he was being resuscitated was no more than coincidence. 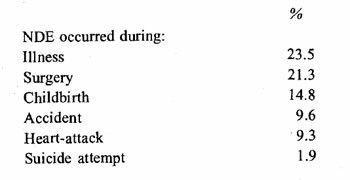 So his apparently paranormal sensations and experience were a combination of his own sensations, together with a statement of a likely event subsequently invested with paranormal significance. The most important aspect of all such stories is accuracy of information and timelines. Many of these stories reporting seeing deceased family members go as follows; "I didn't know my Aunt Tillie was dead, yet I saw her during my NDE." Everyone then looks amazed, their jaws drop, and the more superstitious will accept it at face value without checking on the details of the story. They call loudly in an amazed tone of voice, "Wow! This is amazing! This is inexplicable. This is PROOF of the truth of an afterlife!" Yet when the details of these stories are carefully checked, one must always account for factors such as:"
What did the person reporting such an NDE know about the illness of the relative seen during the NDE. Or did they know the relative was likely to be exposed to danger such as an explorer, dangerous sports, as a soldier, living in an area of violence, riots, revolution or war? In other words, what was the likelihood that such a relative would have died? Did the family know of the demise of the relative, but not directly communicate it to the sick person who then reported seeing the deceased relative during an NDE. Communication can be direct, or indirect by non-verbal behavior. So the person reporting the NDE may have suspected the death of the family member by the behavior of healthy visitors. Alternatively, the family may have told the person, but simply have forgotten. These are all possibilities of prior knowledge. What was the exact timing of the demise of the relative, and the occurrence of the vision of that relative in the reported NDE? How accurate was the reporting of the content of the NDE? 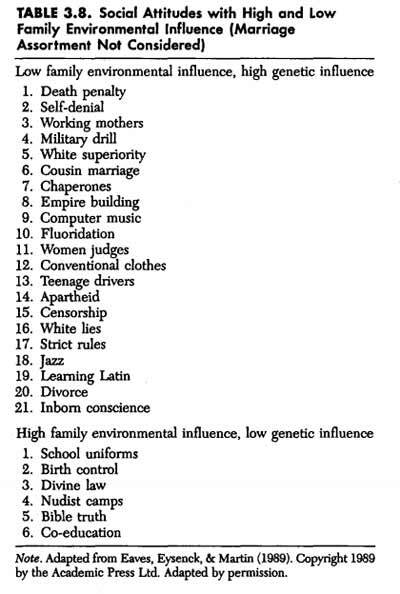 Only when all these factors are known, can one suspect that something as yet unexplained occurred. To simply say something is amazing and inexplicable without investigating these facts, is to be believing and superstitious. Indeed when all these factors are investigated, the final story is often somewhat more mundane. A good exmple of such careful investigation was provided by the story above of the man who learned of the demise of his diabetic sister during his NDE. The above photograph reveals striking similarities in the jaw line in three generations: son, father, and grandfather. 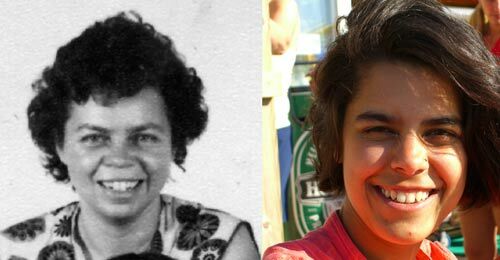 The above photograph reveals striking similarities in the facial features acroos tweo generations of women: black-white photo on the left is the grandmother, and the color photograph on the right is the granddaughter. Many of these apparently surprising experiences of recognition of deceased family members are no more than remembered visions of persons with familiar genetically transmitted features. And because these visions occur during NDEs, they are subsequently given some paranormal significance and considered proof of a life after death. One important factor in such "afterlife" vsions of meeting family members and loved ones is often ignored. This is the known fact that the relationships of persons seen during such visions differs according to the sociocultural background of the person reporting the NDE vision. 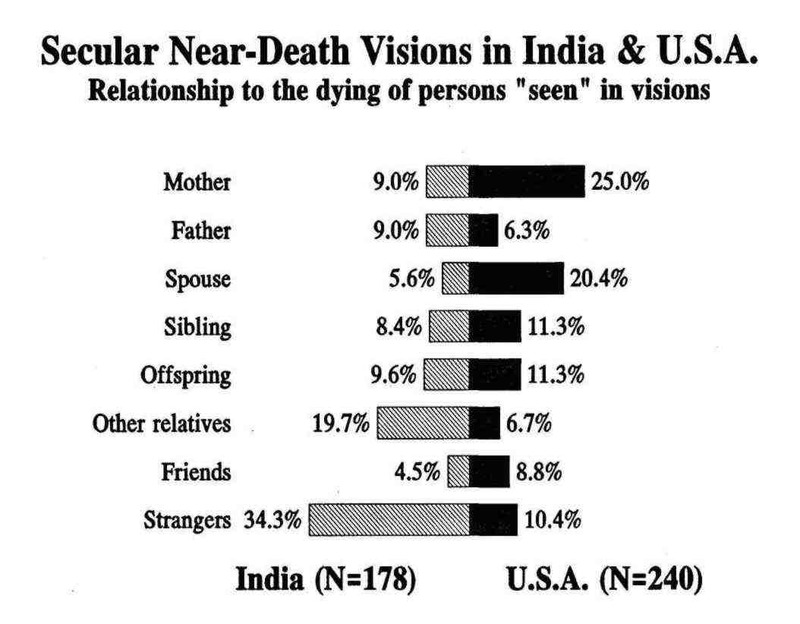 This is shown very clearly by comparing NDE visions reported by people from India and the USA. all means that such visions cannot be considered proof of an afterlife. However, believers in the reality of an afterlife should take comfort in the fact that this does not prove the absence of an afterlife, it just means the physical explanation is more likely than the paranormal explanation. Cobbe FP, (1882), The Peak in Darien. published by GEO. H. ELLIS, 141 FRANKLIN STREET, Boston USA. Greyson B, (2010), Seeing Dead People Not Known to Have Died:�Peak in Darien� Experiences. Anthropology and Humanism, 35: 159�171. Hamblin PS, et al, (1989), Deaths associated with diabetic ketoacidosis and hyperosmolar coma: 1973-1988. Medical Journal of Australia. 439: 441-2. Khardori R, et al, (1984), Hyperosmolar hyperglykemic nonketotic syndrome. Report of 22 cases and brief review. American Journal of Medicine. 77: 899-904. Lommel P van, (2004), About the Continuity of Our Consciousness. Advances in Experimental Medicine and Biology 550:115�132. Moody RA, (1988), The Light Beyond. published by Bantam Books, USA, ISBN 0-553-27813-4. Pinies JA, et al, (1994), Course and prognosis of 132 patients with diabetic nonketotic hyperosmolar state. Diabetes and Metabolism. 20: 43-8. Rawlings M, (1978), Beyond Death's Door, published by Bantam Books, USA, ISBN 0-553-22970-2. Rimailho A, et al, (1986), Prognostic factors in hyperglycaemic hyperosmolar syndrome. Critical Care Medicine. 14: 552-554.